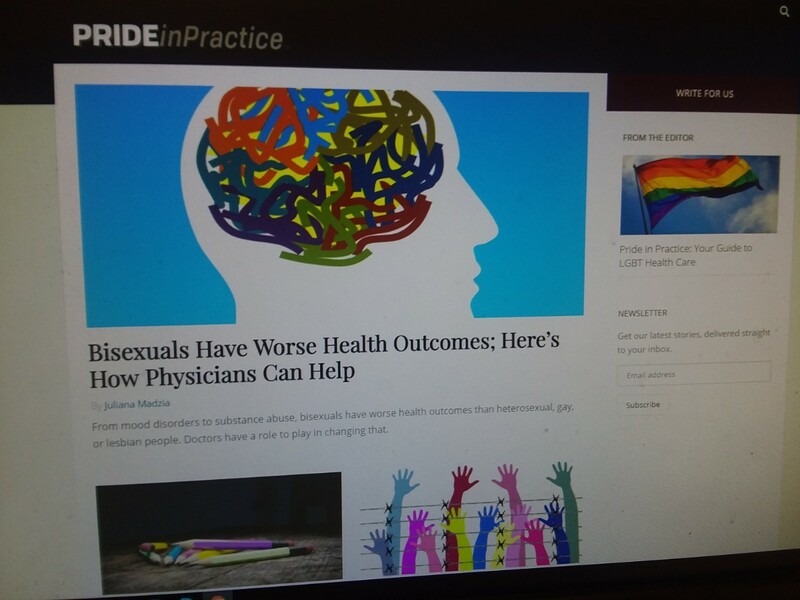 Haidn Foster, a second-year medical student at the University of Cincinnati, recently launched the online publication Pride in Practice to offer more comprehensive LGBT health care education for medical students, residents, physicians and other health care workers. Foster says mental illness, suicide, substance use, obesity and risk of heart disease, among other health outcomes, affect the LGBT population at higher levels compared to the population broadly. This can partially be attributed to members of the community being more hesitant to go to health care providers to seek treatment as a result of stigma other patients might not face, he says. “Transgender patients have very obvious and different needs, for example, coming in for treatment and asking for gender-affirming hormones or surgeries,” says Foster. Members of the LGBT community may also need a different conversation with health care providers about family planning and ways to safeguard sexual health, he says. Foster, a 31-year-old native of Seattle, has a special interest in LGBT health. He graduated with undergraduate and master’s degrees in English from the University of Washington and ran a marketing company for several years before going back to Portland State University for a Bachelor of Science degree in preparation for starting medical school. An experience with a chronic medical condition that caused severe pain, but was ultimately treated successfully, left him curious about his body and how physicians managed to cure him. One of Foster’s posts on Pride in Practice looks at the ‘ABCs of LGBT Health’ and focuses on helping health care workers expand their vocabulary of LGBT-inclusive terminology. For example, Foster says, non-binary refers to a gender identity that is not exclusively male or female. Non-binary people can identify as simultaneously male and female, somewhere between those two identities, or not identify as being on the traditional gender spectrum. Meanwhile, gender expression is defined as the outward manifestations of one’s gender including: behaviors, clothing, hairstyle, makeup, name, pronouns, voice and more. These expressions of gender can be interpreted by others as masculine, feminine, or as belonging to both or neither category, according to Foster’s article. Pride in Practice is available online. “I wanted to write for Pride in Practice because I've talked to so many people in the LGBT community, who have avoided going to the doctor because of discrimination or discomfort that they had experienced in the medical setting,” says Madzia. “Most of the time this is due to a lack of education or awareness on the part of physicians, so our hope is that Pride in Practice will be a resource to physicians at all points in their career who could benefit from learning more about providing optimal care for LGBT patients. Lead photo taken by Colleen Kelley/AHC.